The Most Magical Jollibee Kids Party Theme is Finally here - The Jollibee Fairytale Land! 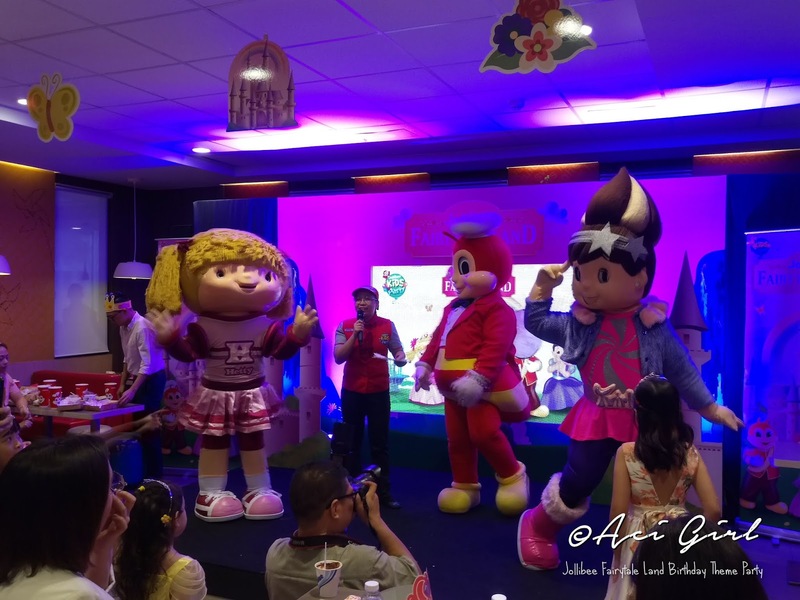 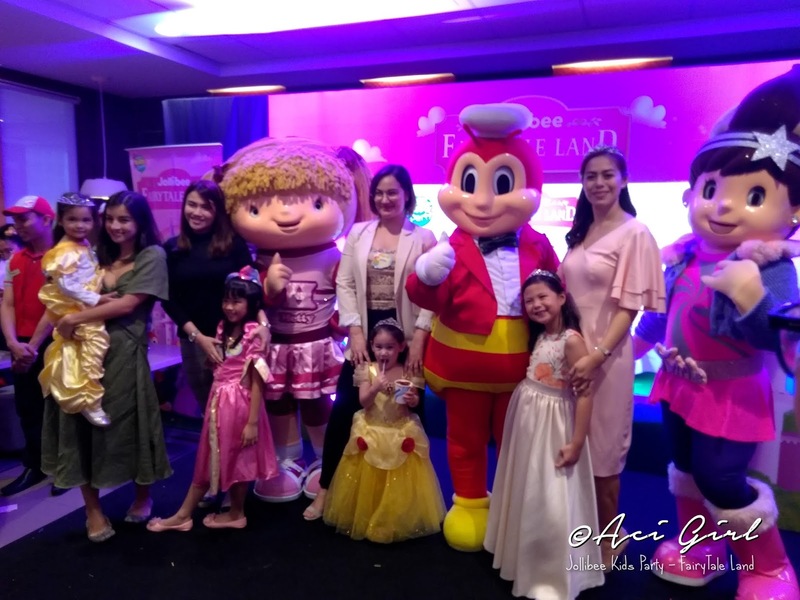 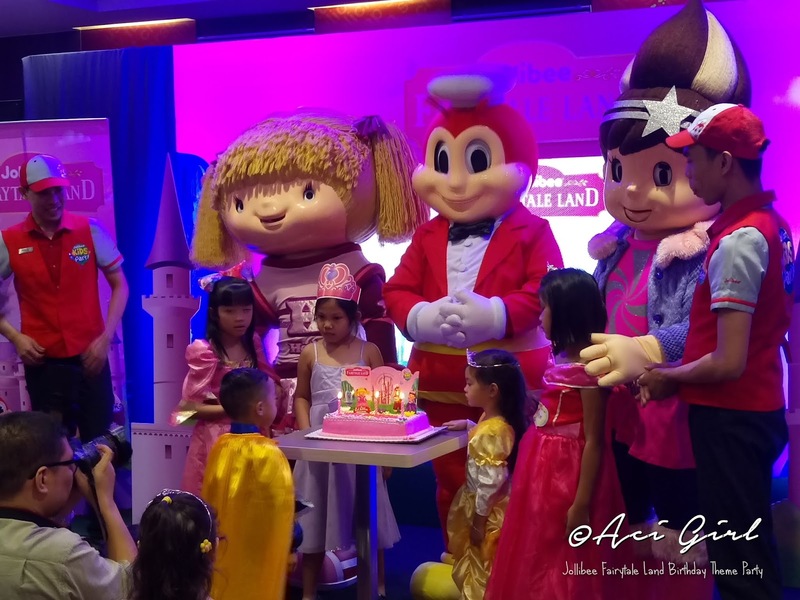 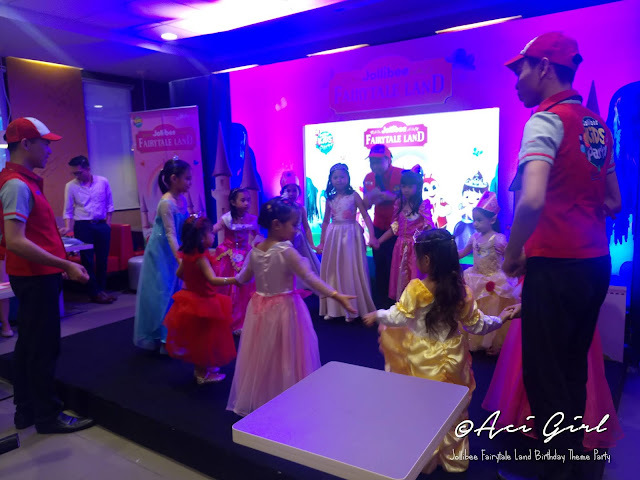 The newest party theme in Jollytown is already up and is starting to make li'l girls dream come true (including my girls Ricci & Chloe) during the grand launch at Jollibee Biopolis Macapagal in Pasay City. Jollibee's Biopolis branch magically turned into a mini Royal gathering for princesses and even princes. 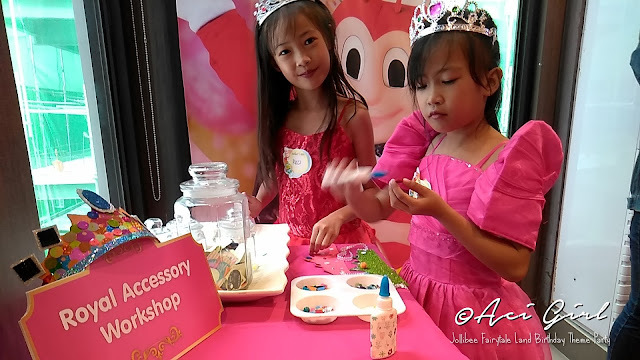 Girls dressed up for the day with their gowns and tiaras channeling their inner princesses. 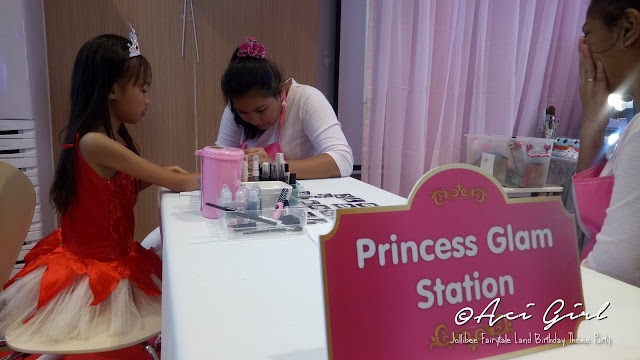 Royal Party Perks awaits, My girls Ricci & Chloe screams with kilig as they roam around the party venue. 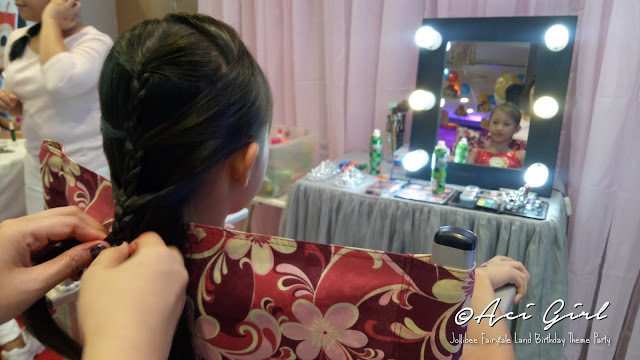 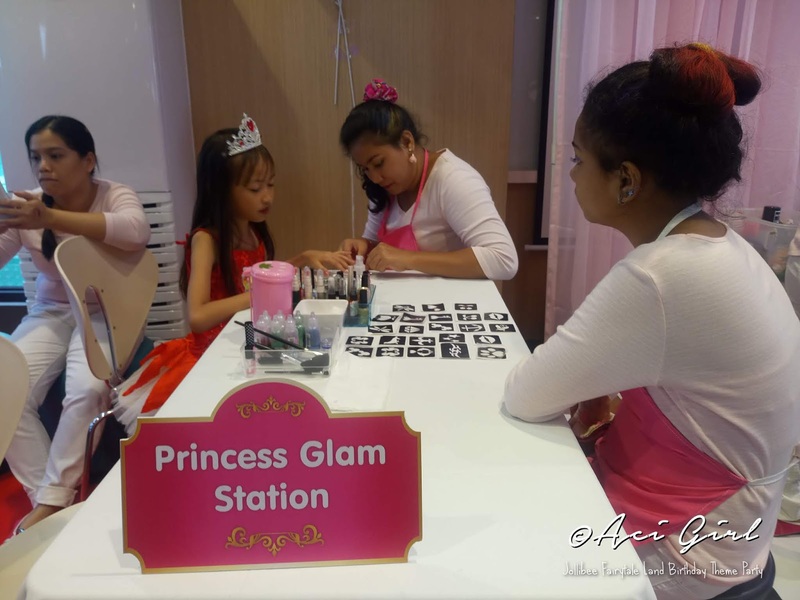 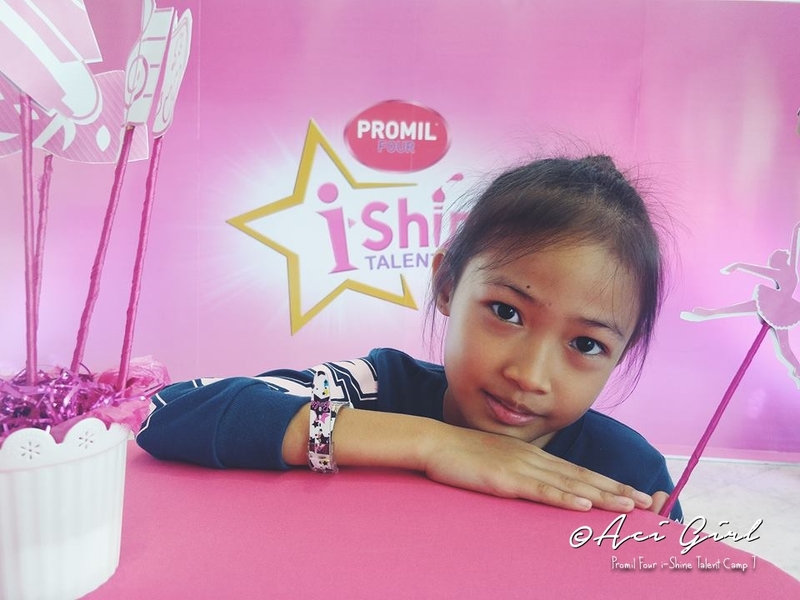 There's Princess Glam Up Station featuring nail arts, glitter tattoos, face painting, hair styling, and even spray on hair coloring. 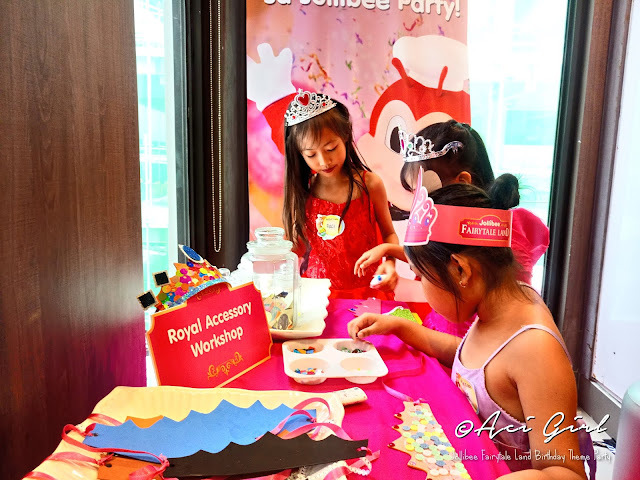 The Royal Photobooth and my girls fave - The Royal Accessory Workshop was there too, A spot where you can create and design your own crown, Make it shiny, sparkly, and with all that glitz, it up to you princess! 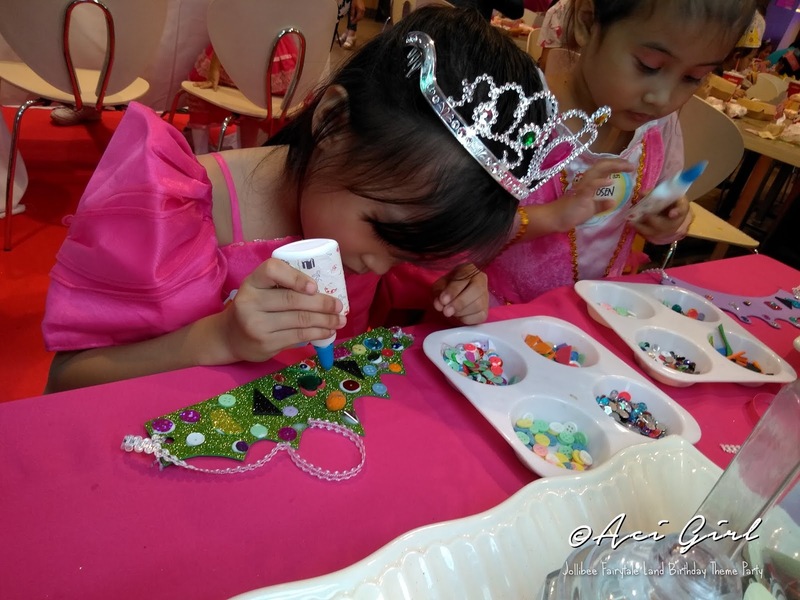 Even the games are Princess'y Inspired! 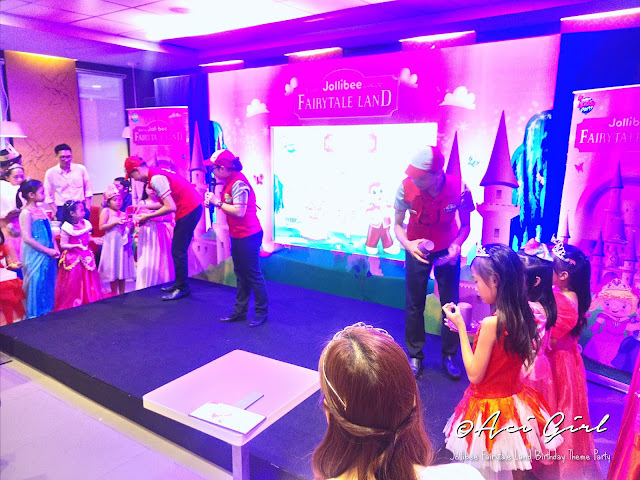 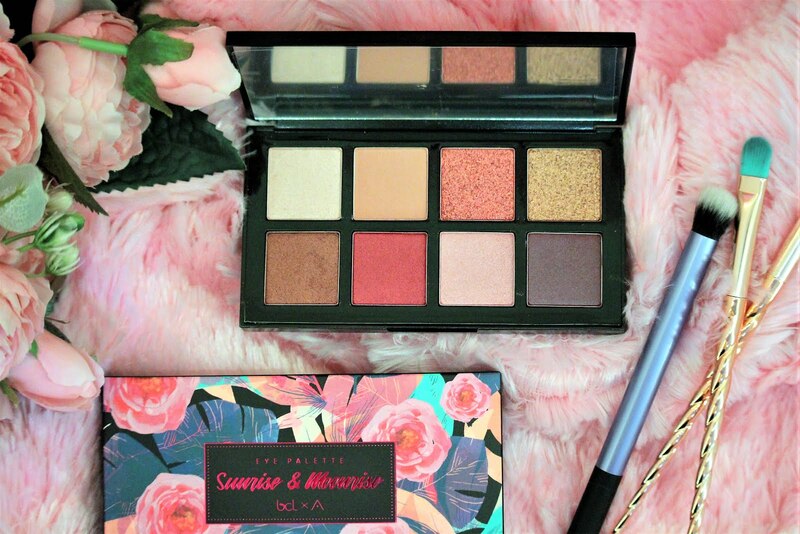 The Fairest of them all Wins a Special Prize! Of course, Jollibee and friends were there too! 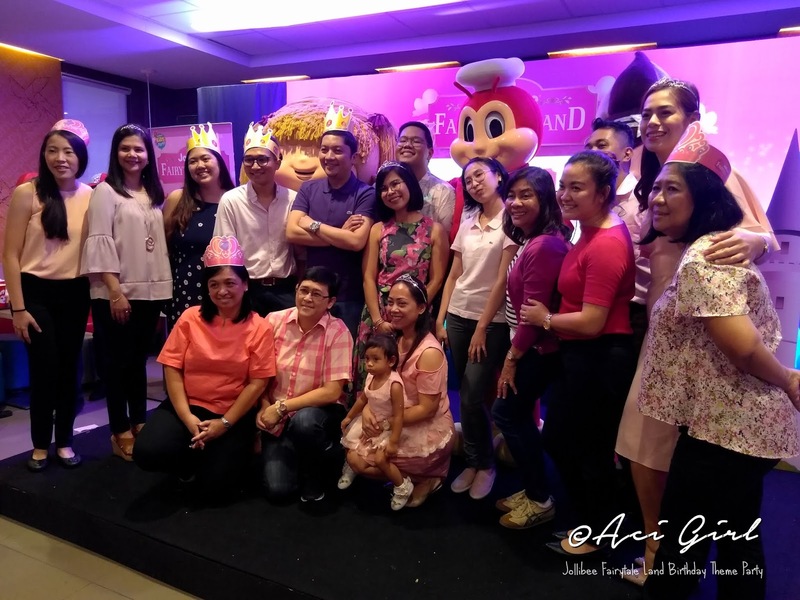 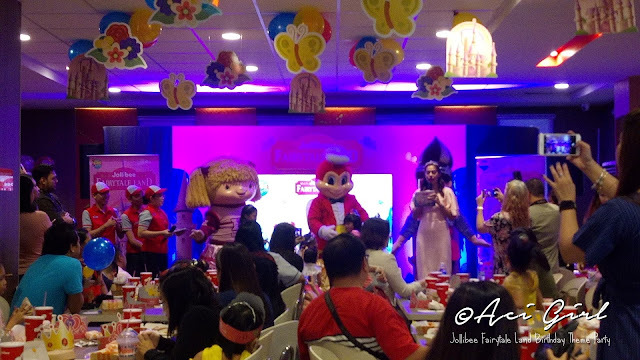 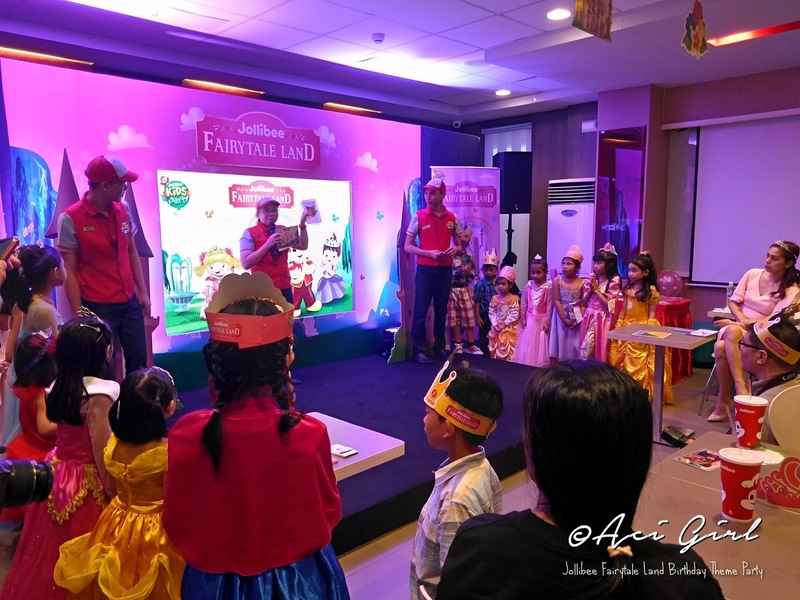 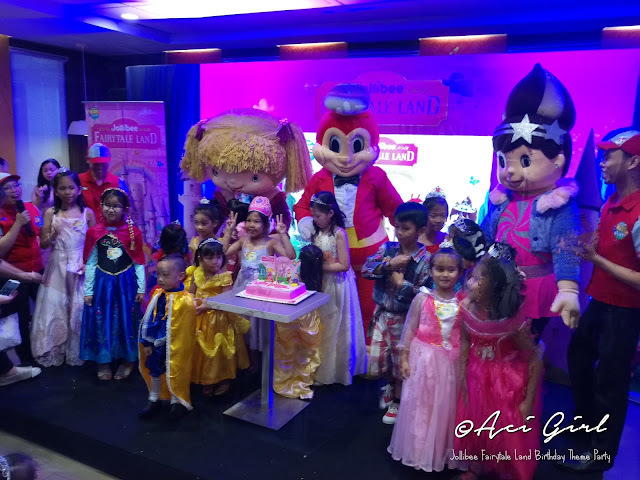 The FairyTale Land, as Jollibee's Newest Kids Party Theme, is such a delight to our little princesses. Chloe already asked me if she can celebrate at "Jabee" on her next Birthday. 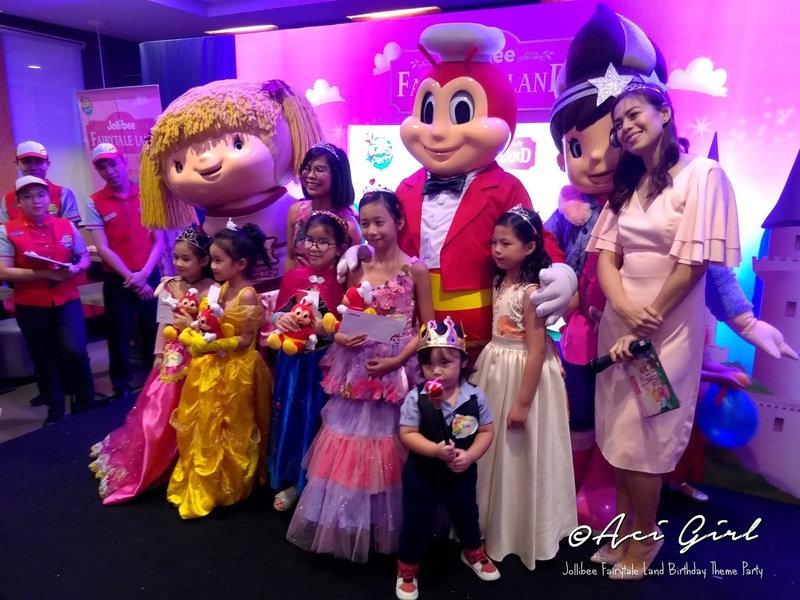 This party theme will surely captivate the hearts of young girls and even me, at my age still wants to celebrate with a Jollibee Kids Party too! 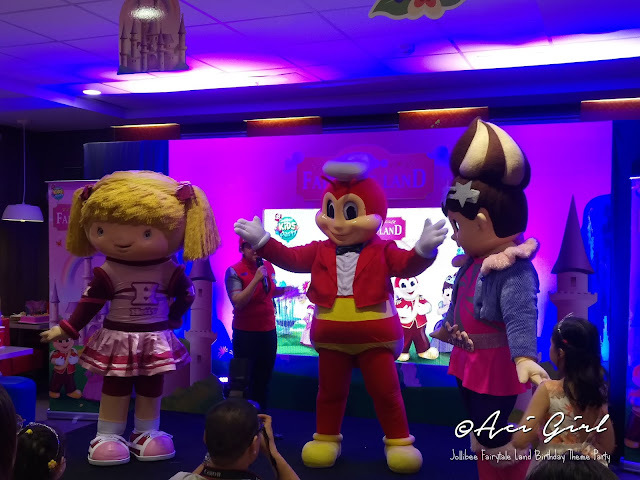 Aside from the Royal ambiance, Jollibee's party menu is mostly kids favorite! 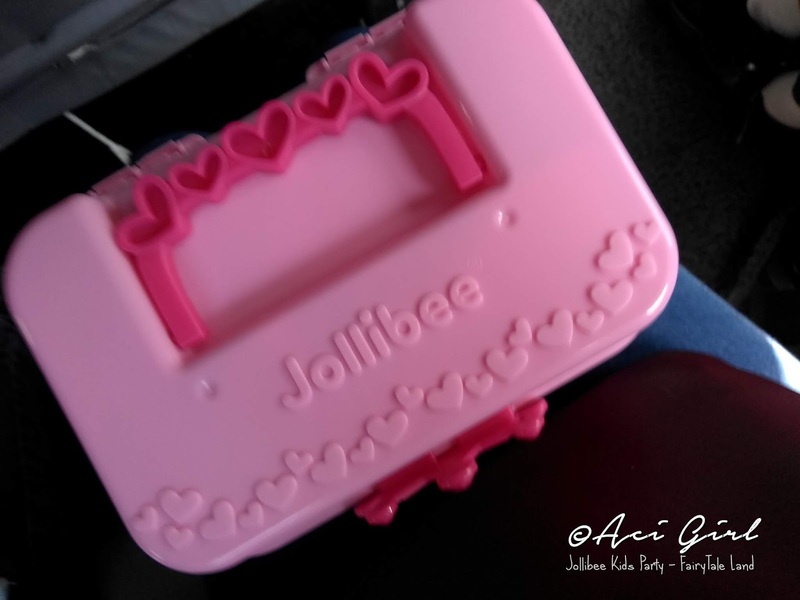 From the well-loved Jolly Spaghetti to that Crispylicious & Juicylicious Chicken Joy and so much more! 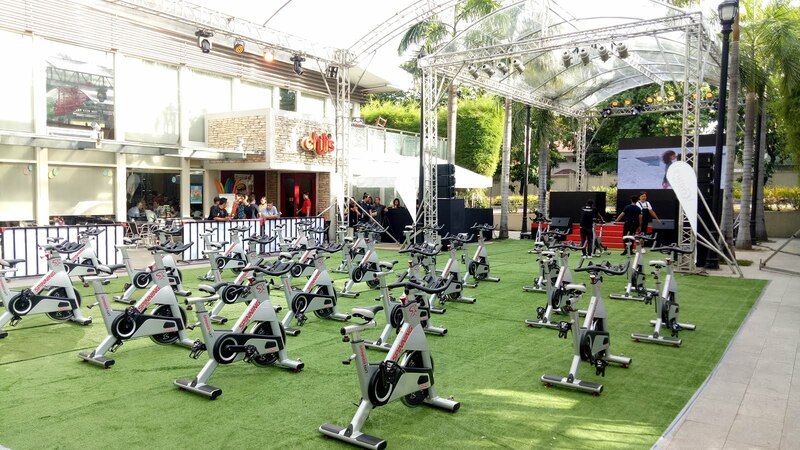 Jollibee Fairytale Land is just one of the many party themes of our best friend Jollibee. 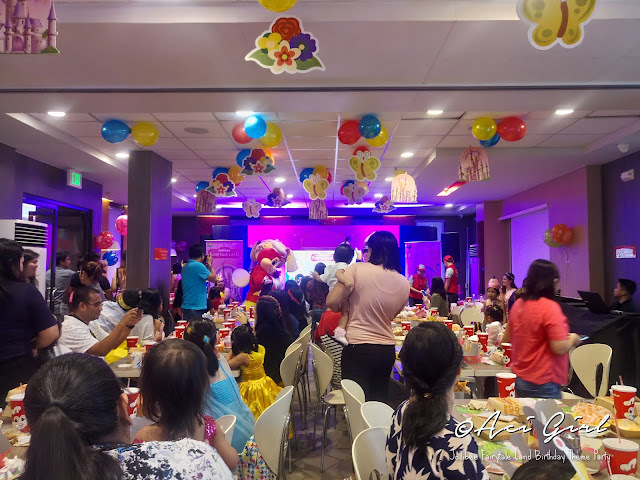 Jollibee Kids Party theme to choose from includes Jollitown, JolliRace, and Hello Kitty Fun Carnival. 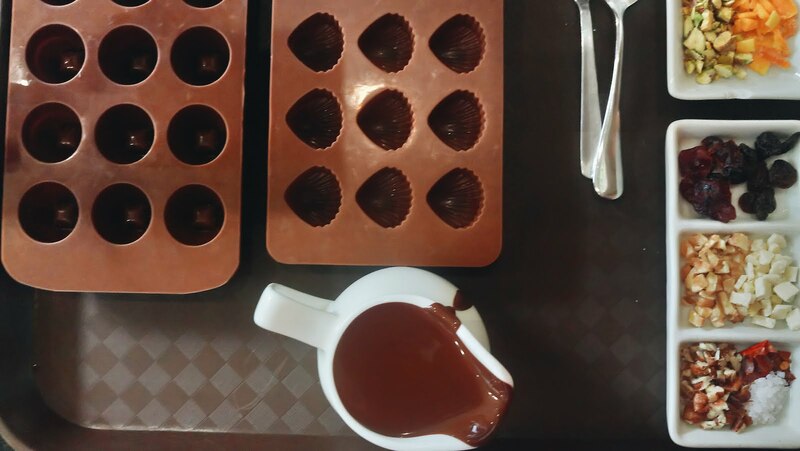 The Jollibee Kids Party is available for both in-store and outside parties and has a "Create-Your-Own-Package" that gives parents that option to customize their food packages. 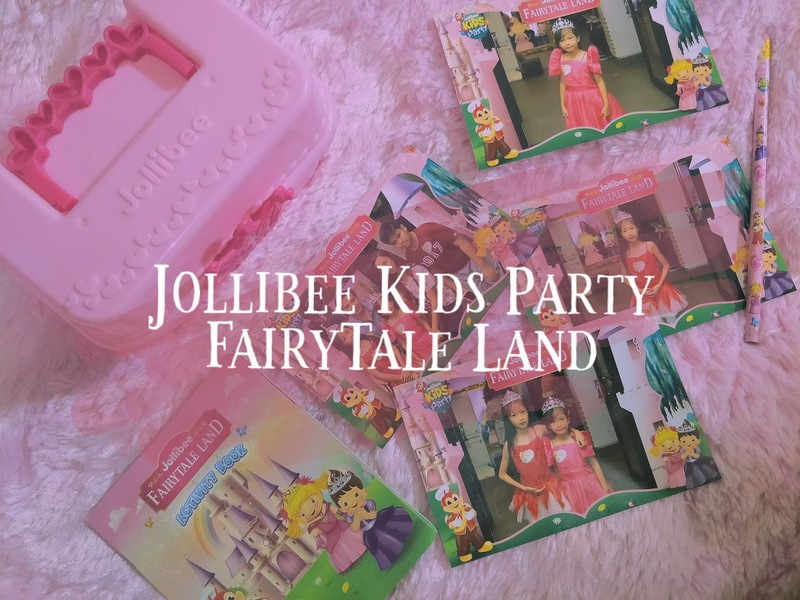 Check out your nearest Jollibee Party Store for more details. 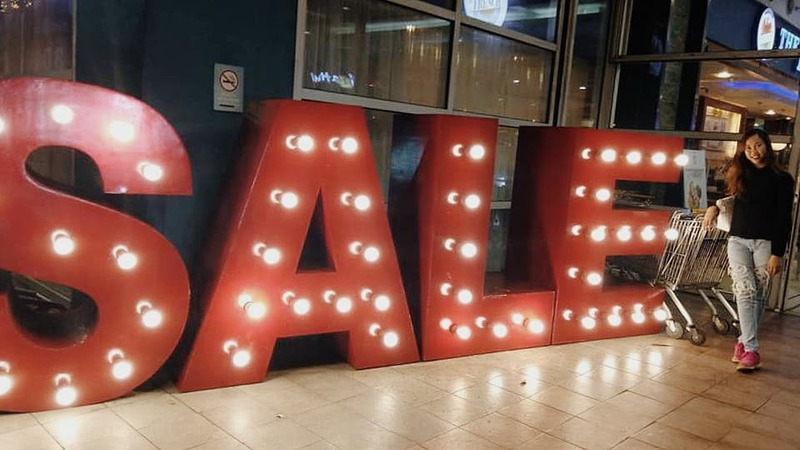 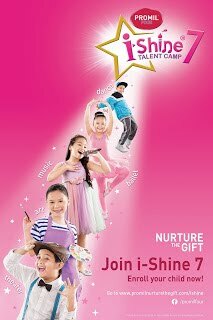 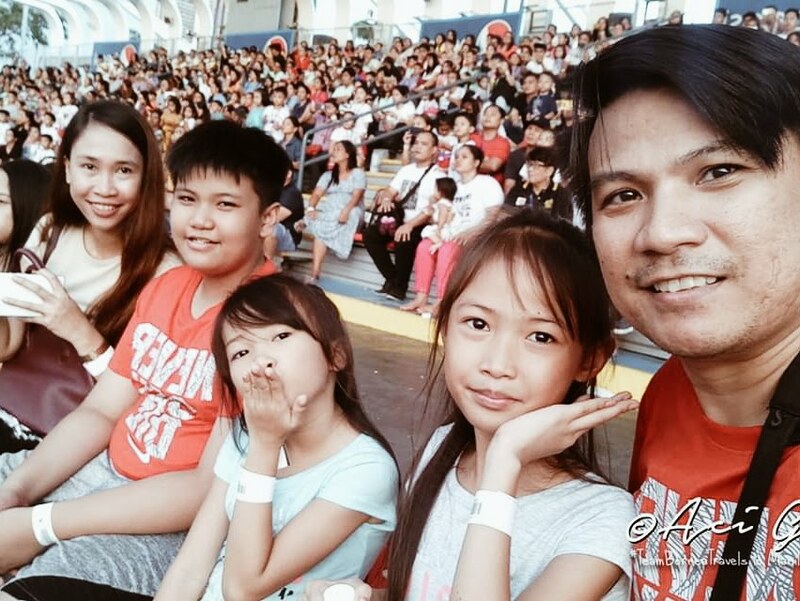 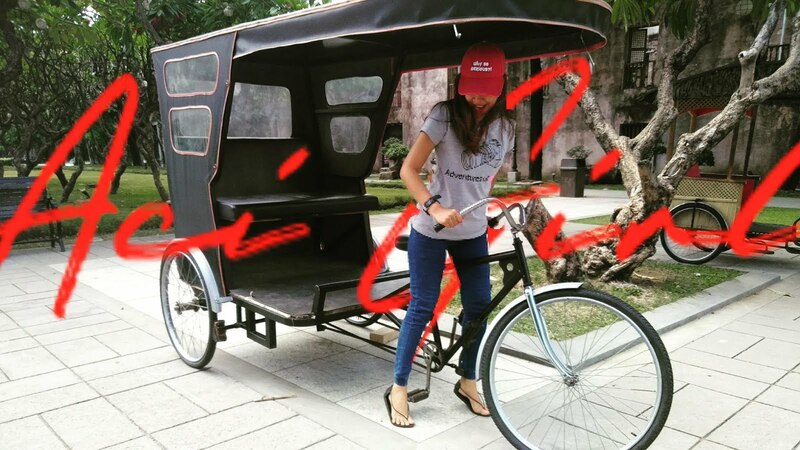 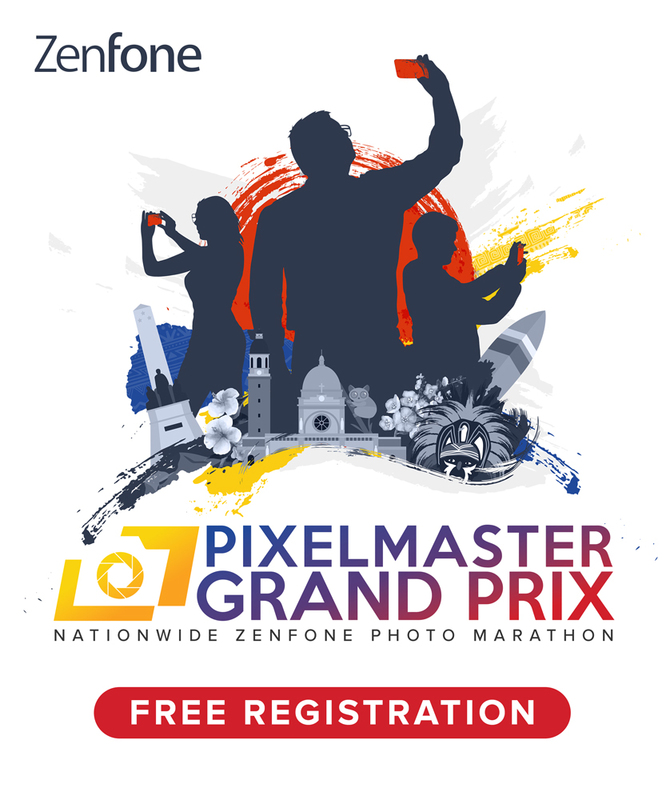 Wow ang saya naman umattend dyan.Yan yung mga gustong puntahan ng 7year.old daughter ko eh.Mga napapanuod nya sa tv,sa ads,nakikita sa magazines.Palagi nyang sinasabi na gusto nyang umattaned at maexperience yung mga ganyan events.Hindi kasi palalabas ng bahay mga anak ko dahil na din sa environment namin and dahil na din sa first child namin sya and babae pa.Sa school lang sya nakikipag socialize nabubully pa.
Anak ko favorite si Hello Kitty sana nga dati pa nagkaroon ng theme party na Fairy tale land. 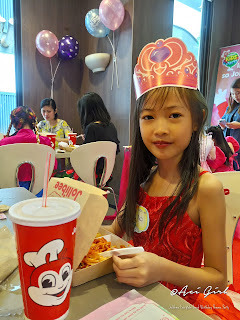 True, kaya sa next birthday alam naaaa! 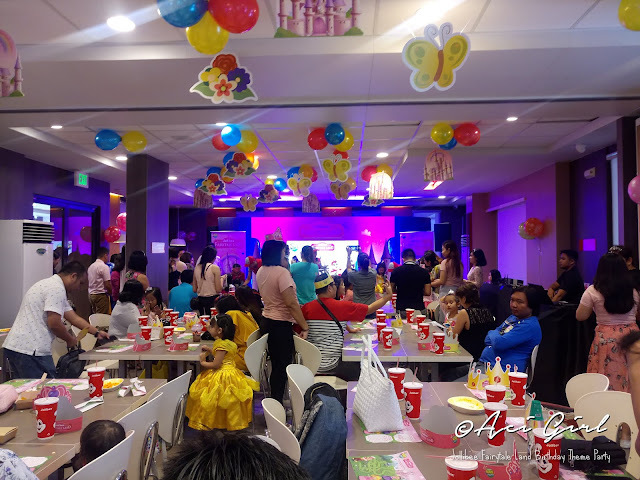 Cute ng new party Theme diba? 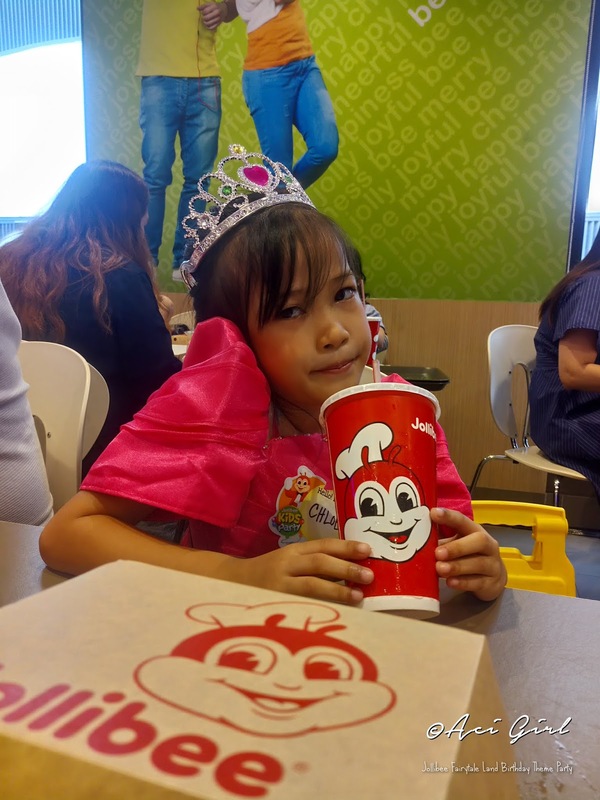 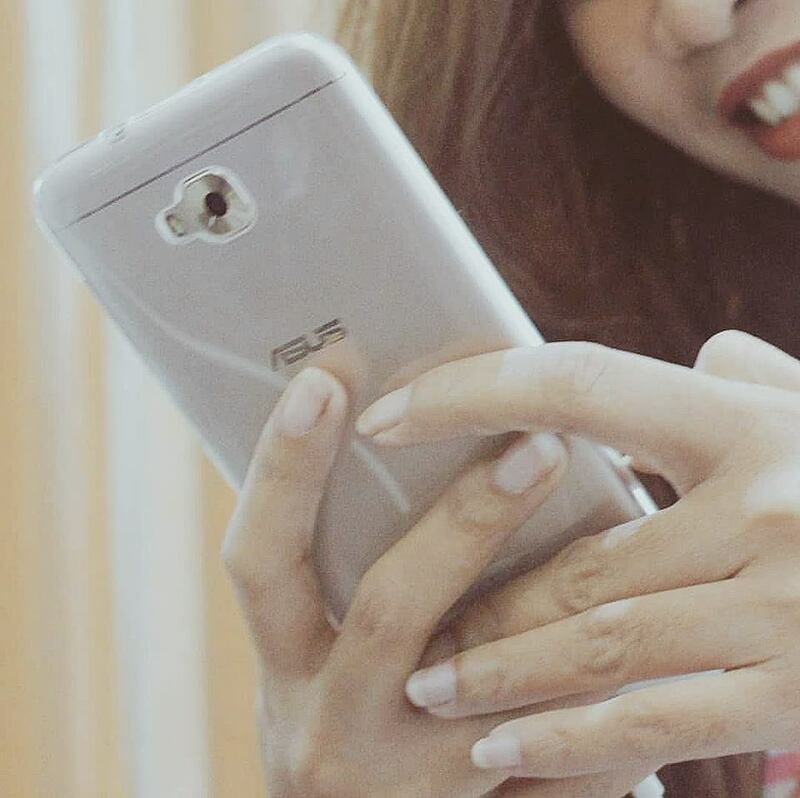 Perfect ito sa mga may anak na babae sana sa boys meron din.